A perfect entry into business coaching for businesses looking to achieve high growth! Growth Accelerator was originally the creation of the government to support businesses by providing a funding mechanism for utilising the services of a coaching professional. The success of the government program that unfortunately came to an end in 2016 was analysed by independent academics who suggested for every £1 spent on Growth Accelerator the yielded benefits to the economy were between £4.54 and £9.92. This saw a boost to the economy by approximately £1bn. 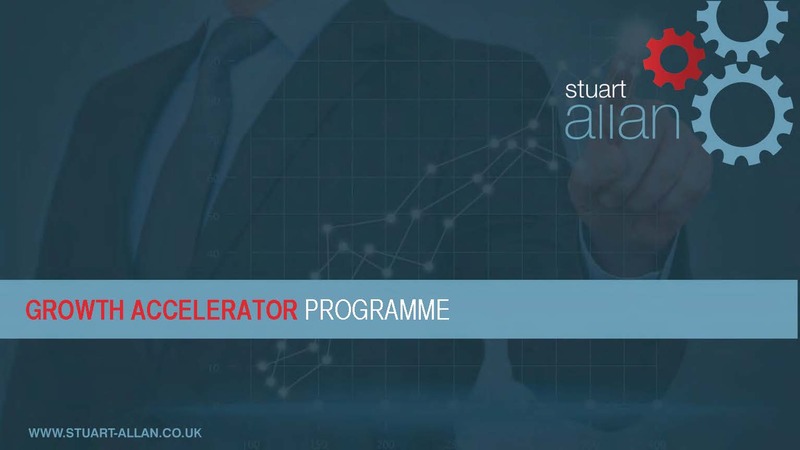 The subsequent Stuart Allan Growth Accelerator program has been hugely successful for clients who eventually upscale to a 121 coaching program. It forms a great entry point into coaching, and firmly puts the business owner on a path to high growth. Having helped countless businesses achieve fantastic results through the GrowthAccelerator programme utilising the original government scheme, and latterly the Stuart Allan Growth Accelerator scheme, businesses have been able to identify and implement strategic transformational changes within their daily routine and business practices. This has provides greater control over finances, systems, processes and sales and marketing. It creates the opportunity for the business owner to strategically plan and improve operations, providing freedom for the owner, and diverting valuable time working on the business rather than within it. Our three dedicated Growth Accelerator programmes, for varying sized businesses, will replicate the delivery over 14 to 24-week periods, subsidies and easy payment terms to match the original government funding. CAN YOU IDENTIFY WITH ANY OF THESE COMMON BUSINESS ISSUES? Lost enthusiasm for your business? Business is in decline despite working hard? Business is expanding quickly but constantly runs out of cash? Business hasn’t grown recently, and you don’t know which direction to take? Considering stepping aside for a family member to take the helm, but are not sure what to do? Would like to raise investment but don’t know how to? Would like to sell your business and maximise the price? 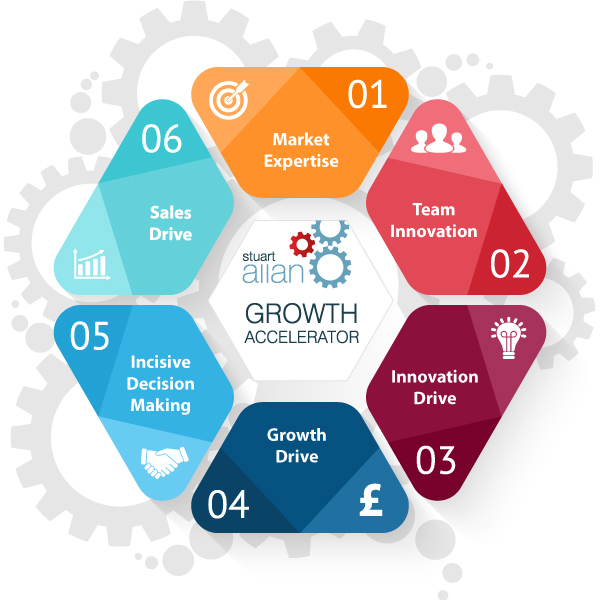 IF SO……... Let’s talk about our Growth Accelerator programme!